Finals will be held on 29th of July at Royal Paragon Hall. Miss Universe 2016 Top 6 Finalist Chalita Suansane will crown her successor at the end of the event. The winner will represent Thailand at this year's Miss Universe pageant. Link to the official live streaming of Miss Universe Thailand 2017 will be provided here once available. 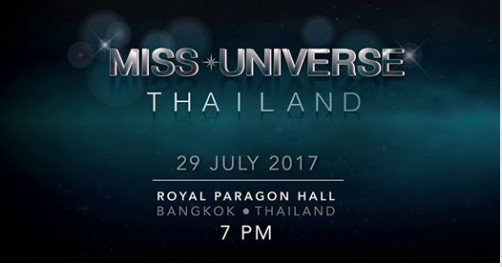 Tune in on this site for the Miss Universe Thailand 2017 live coverage. More links will be added here on the actual pageant.